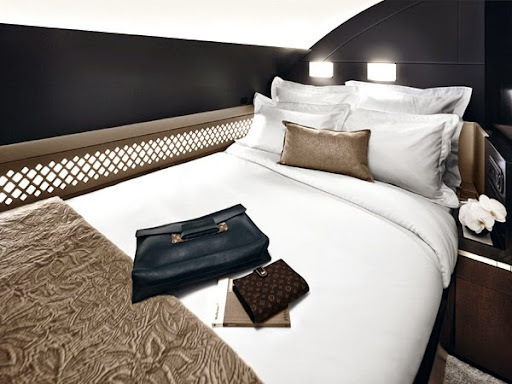 Just when we thought that airlines have pulled out all the stops when it comes to luxury, Etihad Airways has managed an unprecedented feat by incorporating a glamorous suite aboard its new A380s. 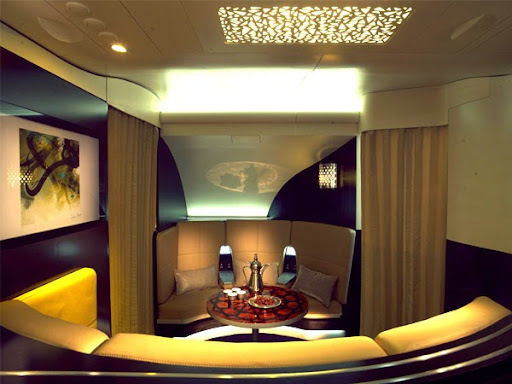 You have about 125sqft at your disposal as The Residence finds its place on the forward upper deck of the aircraft. Up for single or double occupancy, your first tryst with this three-room private cabin is the living area, complete with a large 32” LCD TV for your viewing pleasure from a two-seat leather upholstered reclining sofa. The dual marquetry dining tables and mini-bar will hardly leave you with any reason to get out of your seat at all. This space has been technologically amped up with a touchscreen control unit which operates absolutely everything right from the retractable ottoman and the ambient and mood lighting, to the window shading, seat adjustments and activation of in-seat massage functions. When you think its nap time or you’re just in the mood to kick back, head to your double bedroom and lay down on the Poltrona Frau-upholstered 82”-long double bed with its own custom-made mattress, designed for extreme comfort to enable you to endure long haul flights. 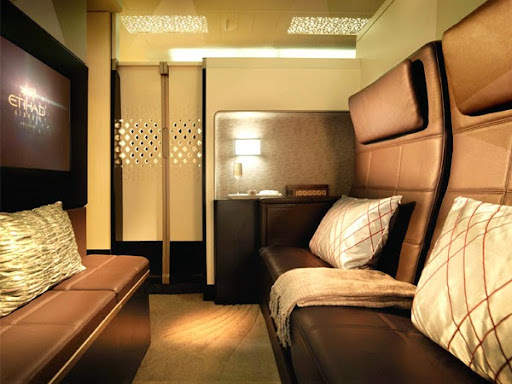 Thoughtfully, Etihad also has installed a bedside unit, a wardrobe for those crisp ironed clothes and coats, and some under-bed stowage for your hand luggage to be kept out of the way.What’s more, the 27 inch LCD TV in this room may tempt you to give the Living Room a miss altogether. 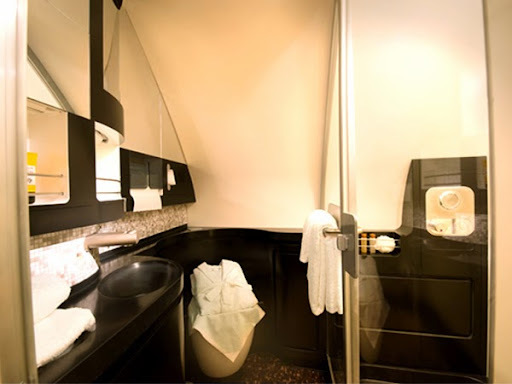 The Residence also gives you your very own ensuite shower room to freshen up before you land or even during the flight.And given Etihad’s penchant for limited edition kits and luxe amenities with top labels like Givenchy, La Prairie, Le Labo and the likes, rest assured you will be well-taken care of in this department as well. The Residence is fully Wi-Fi enable and comes fitted with the Panasonic eX3 entertainment system—controlled by video touchscreen and handset. The communications suite features broadband with internet, which is compatible with mobile and data capability, and has Live TV, HDMI, AC outlets and USB ports. At your service throughout the flight is a Savoy Academy-trained butler from the world-famous Savoy hotel, who will double up as a concierge and Maitre d', taking care of all of your requests. Specially appointed chefs will stir up a range of gourmet à la carte meals or create custom menus as per your wish. A dedicated VIP Concierge team will take care of everything from hotel bookings, airport transfers, car hires, check-ins, private boarding, etc.